We Came to Win | Listen Free on Castbox. Every four years, people all over the world turn their eyes, ears, and hearts toward the most exciting sports competition on the planet: The World Cup. We Came to Win tells the stories behind the tournament’s most memorable moments. Like, how did one player become a God, and a villain, after breaking the rules? How did the semi-final of the 1990 World Cup save English soccer from falling apart? And how did one player turn a free-kick into an act of protest? 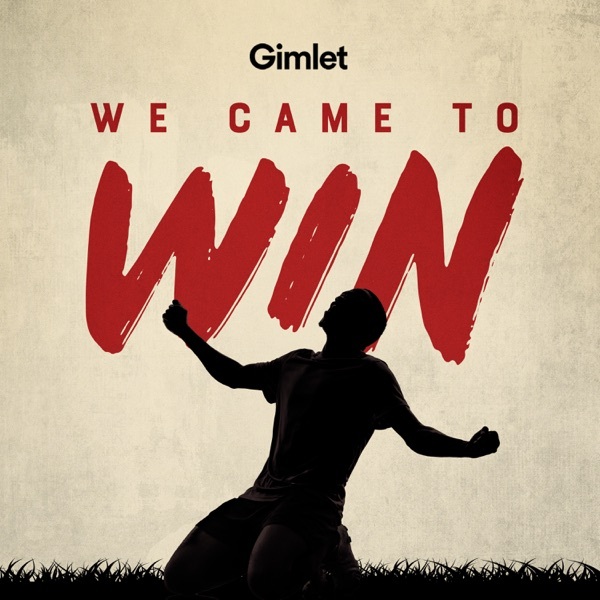 This series from Gimlet Media is an homage to the triumph and heartbreak, victory and defeat that we all experience from soccer (or football, or futbol, or whatever you call it). And it reminds us that so much of what we love about the beautiful game happens off the pitch. A new show from Gimlet Media that tells stories behind the games that soccer fans can never forget—and that rest of the world couldn’t ignore. Premiers April 25th. Today, the English Premier League is the richest and most watched league in the world. But rewind to the end of the eighties, and English football was in the doldrums. The national team were crap, the stadiums were crumbling, and there was the threat of violence from football hooligans. This is the story of how one summer, and one World Cup, changed English football forever.CREDITS: We Came to Win is hosted by Nando Vila. This episode was produced by Emma Morgenstern, Emily Ulbricht, and Ngofeen Mputubwele with help from Anna Foley and Jasmine Romero. 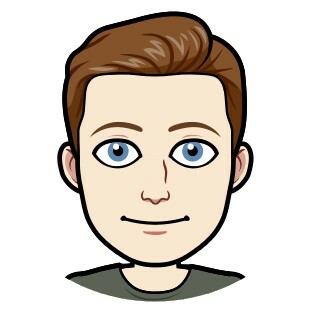 Our senior producer is Matthew Nelson. Our editors are Caitlin Kenney, Devon Taylor, and Jessica Weisberg. This episode was scored, sound designed, and mixed by Bobby Lord. Check out more Gimlet podcasts at gimletmedia.com. The year is 1989. The United States is a soccer desert, but it just won a bid to host the 1994 World Cup. If the U.S. is going to prove it deserves the honor, it’ll need to get its team to qualify for the 1990 World Cup—and they haven’t made it in nearly four decades. A coach named Bob Gansler and his gang of mulleted misfits are America's only hope. This is the story of their last-ditch attempt to put U.S. soccer on the map.CREDITS: We Came to Win is hosted by Nando Vila. This episode was produced by Emma Morgenstern, Emily Ulbricht, and Ngofeen Mputubwele with help from Anna Foley and Jasmine Romero. Our senior producer is Matthew Nelson. Our editors are Caitlin Kenney, Devon Taylor, and Jessica Weisberg. This episode was scored, sound designed, and mixed by Bobby Lord. Check out more Gimlet podcasts at gimletmedia.com. In 1974, the first all-black team competed at the World Cup: the national team of Zaire, now known as D.R. Congo. They were remembered for one of the strangest plays in World Cup history: a botched free kick that led some commentators to speculate that the African team didn't understand the basic rules of the game. But behind Zaire’s kick is a lesser-known story of nationhood, colonialism, and government corruption. CREDITS: We Came to Win is hosted by Nando Vila. This episode was produced by Ngofeen Mputubwele, Emma Morgenstern, and Emily Ulbricht with help from Anna Foley and Jasmine Romero. Our senior producer is Matthew Nelson. Our editors are Caitlin Kenney, Devon Taylor, and Jessica Weisberg. Original Congolese music by Nkumu Katalay. Additional scoring, sound design, and mixing by Bobby Lord. Check out more Gimlet podcasts at gimletmedia.com. The year is 1998. 12 years have passed since archrivals Argentina and England last met in a World Cup, but the grudges that defined that last match—most notably, the legendary Maradona’s “Hand of God” goal—are still fresh. On June 30, 1998, a young Iain MacIntosh, future football journalist, watched the two teams face off. In this Extra Time episode, he recounts the drama that unfolded during and after the game, one of his favorite World Cup memories.CREDITS: We Came to Win is hosted by Nando Vila. This episode was produced by Ngofeen Mputubwele, Emma Morgenstern, and Emily Ulbricht with help from Anna Foley and Jasmine Romero. Our senior producer is Matthew Nelson. Our editors are Caitlin Kenney, Devon Taylor, and Jessica Weisberg. Additional scoring, sound design, and mixing by Bobby Lord. Check out more Gimlet podcasts at gimletmedia.com. In soccer, the glory usually goes to the attacking players like Maradona, Pele, and George Best. These legends of the sport created endless highlight reels with their powerhouse performances and game-winning goals. But every so often a goalkeeper comes along that’s so good that the saves they make, and the goals they stop, become the highlight of the game. One such goalkeeper is Hope Solo. On this episode of We Came to Win, we talk to Solo about what it's like to play in three tournaments—and finally win one.To find a list of our sponsors and show-related promo codes, go to gimlet.media/OurAdvertisersCREDITS: We Came to Win is hosted by Nando Vila. This episode was produced by Emma Morgenstern, Anna Foley, Emily Ulbricht, and Ngofeen Mputubwele with help from Jasmine Romero. Our senior producer is Matthew Nelson. Our editors are Caitlin Kenney, Devon Taylor, and Jessica Weisberg. This episode was scored, sound designed, and mixed by Bobby Lord. Check out more Gimlet podcasts at gimletmedia.com. Every Mexico fan remembers where they watched the round of 16 match between Mexico and the United States in the 2002 World Cup. This was a defining game—one that carried the weight of past World Cup defeats and the promise of the Mexican team’s future. That the match was against the U.S., Mexico’s powerful neighbor, only made the stakes higher. This is the story of how one game came to define an entire generation of Mexican soccer fans. To find a list of our sponsors and show-related promo codes, go to gimlet.media/OurAdvertisersCREDITS: We Came to Win is hosted by Nando Vila. This episode was produced by Emma Morgenstern, Ngofeen Mputubwele, and Emily Ulbricht, with help from Anna Foley and Jasmine Romero. Our senior producer is Matthew Nelson. Our editors are Caitlin Kenney, Devon Taylor, and Jessica Weisberg. This episode was scored, sound designed, and mixed by Bobby Lord. Check out more Gimlet podcasts at gimletmedia.com. Making it to the World Cup had long been a dream of American defender Jimmy Conrad’s, and at the age of 29, he finally got his chance. U.S. coach Bruce Arena named Jimmy to the 2006 World Cup squad. Unfortunately, he spent the first game watching from the bench. It wasn’t until deep into the second game, when the U.S. was down a man and fighting for survival against the powerful Italians, that Jimmy was called in. Hear how he went from riding the bench to holding the line in one of the most epic matches in U.S. soccer history. To find a list of our sponsors and show-related promo codes, go to gimlet.media/OurAdvertisersCREDITS: We Came to Win is hosted by Nando Vila. This episode was produced by Emma Morgenstern, Emily Ulbricht, and Ngofeen Mputubwele, with help from Anna Foley and Jasmine Romero. Our senior producer is Matthew Nelson. Our editors are Caitlin Kenney, Devon Taylor, and Jessica Weisberg. This episode was scored, sound designed, and mixed by Bobby Lord. Check out more Gimlet podcasts at gimletmedia.com. Another excelent episode. You should do one about the portuguese 2006 team. holy f this is gonna be awesome. Downloaded all and will be listening soon.